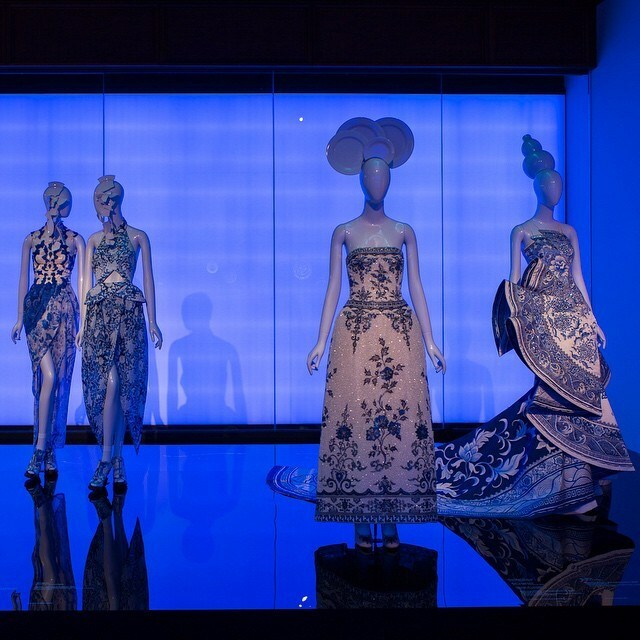 The Metropolitan Museum of Modern Art in Manhattan is currently showing an exhibit called “China Through the Looking Glass,” which runs until September 7, 2015. It takes up space on three floors (including the Anna Wintour Costume Center) and offers dozens of outfits and costumes by famous designers based on Chinese motifs and inspirations, along with other art objects (vases, sculptures, installations) and other commercial objects (e.g., perfumes). What grabbed my attention most were the various screens in the galleries on which were projected film clips from famous Chinese, Hong Kong and Hollywood films. I counted a total of 24 films represented, most of them well-known, with only one completely new to me. They were grouped by eight chosen themes. Six of the themes ran montages of three to five films each on continuous loops, while two themes stuck to one film each. 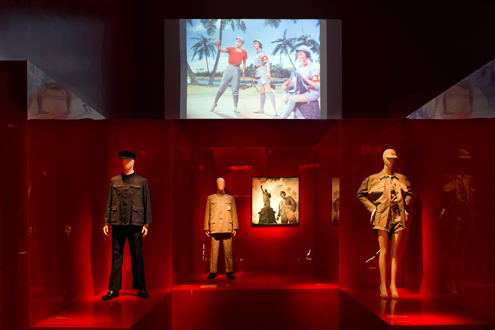 The screens showing these film clips accompanied display cases featuring costumes or art objects related to the theme. Categories Actors, Asians in Hollywood, Chinese Cinema, Directors, Film music, Hollywood Cinema, Hong Kong Cinema, Museums, Shaw Bros. This entry is part of the 1947 Blogathon sponsored by Shadows and Satin and Speakeasy. I chose two films from 1947 to write about and my original plan was to do separate entries on them, but after watching them back-to-back, I realized that the contrasts between them were so interesting that I thought it best to do a comparison piece. 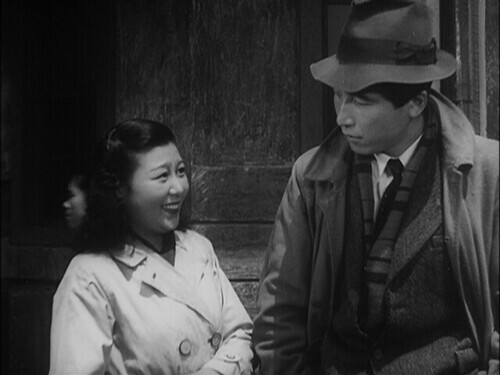 The first is ONE WONDERFUL SUNDAY, Akira Kurosawa’s incisive portrait of postwar lovers in Tokyo caught up in a cycle of poverty, and I chose it because it was a Kurosawa film that I’d never seen before and this would be a good opportunity to finally see it. 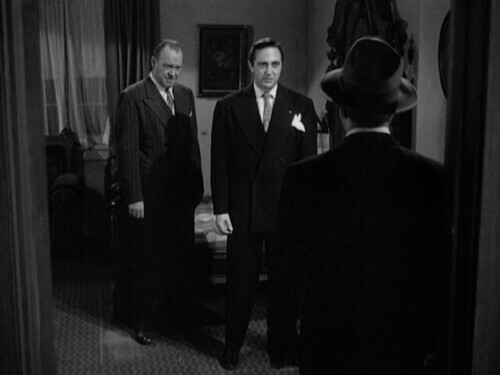 The second is VIOLENCE, a low-budget melodrama from Monogram Pictures about an organization exploiting war veterans for power and profit, and I chose it because it was the closest thing I could find to a conspiracy thriller from 1947, a year filled with events in the U.S. that fueled so many conspiracy theories for years to come. One film was made in a country recovering slowly from defeat and the ravages of war, while the other was made in a country flush with the glory of victory and newly emergent on the global stage as the dominant world power, yet the stories they tell offer a reversal of sorts. 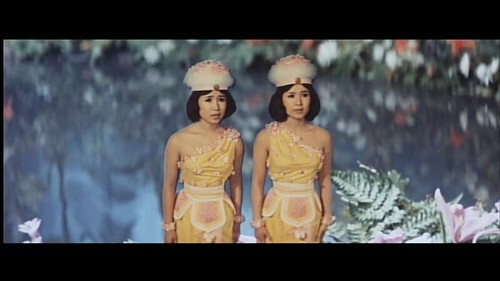 Back on June 1, 2014, I wrote about “The Poetry of Kaiju,” as found in the 1964 kaiju (Japanese monster) film, GODZILLA VS. MOTHRA (aka GODZILLA VS. 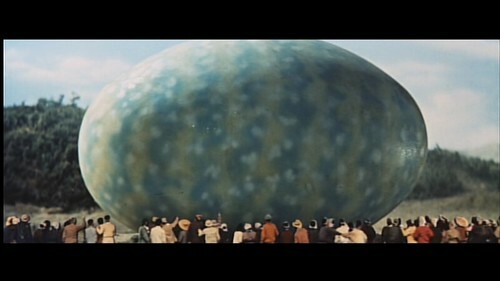 THE THING), with its stunning images of Mothra eggs and the otherworldly twin fairies who guard them. 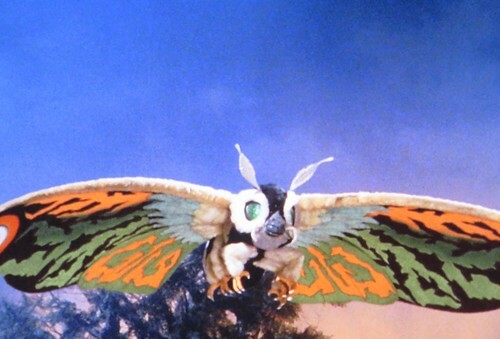 This past month I opted to watch three additional films about Mothra, the giant caterpillar-turned-butterfly, and its fairy guardians, in search of similar poetic imagery.